My goodness, this kid is adorable. Oji is a downtrodden young Japanese lad and an unlikely hero in true Disney form. SumoBoy, the game casting him as lead, is the first project announced by a conglomerate of industry veterans referring to themselves as TAPRR. And, believe it or not, this isometric action game claims inspiration in the anti-bullying movement. Intrigued? Help make it happen with their recently posted Kickstarter campaign. Evil has taken hold in the world of Seishin, and the long lost son of a Sumo warrior and the Princess of the Elements is the one to save it. For better or for worse, that son is tubby little Oji. 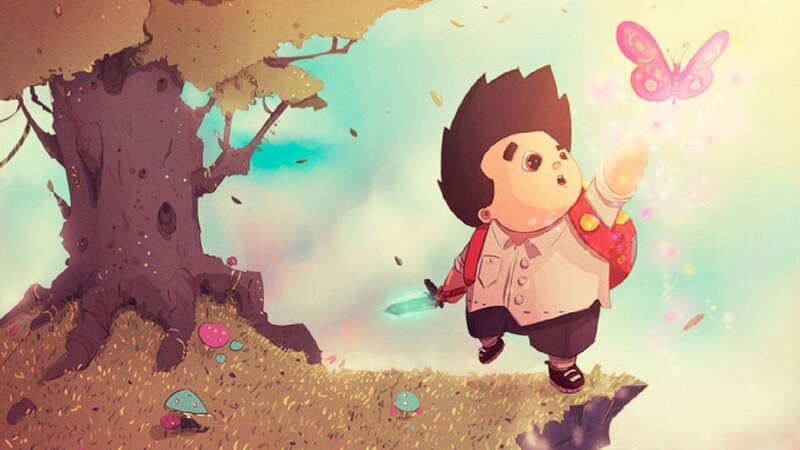 He’ll travel through undeniably beautiful landscape battling monsters, solving puzzles, exploring his culture’s mythology, and tempting pinching fingers with those puffy cheeks. Does roundness correlate with cute factor? I think so. TAPRR is aware that a “social justice game” doesn’t exactly sound like a barrel of laughs. They’d like to assure you that they’re intent on making the message-toting game fun, not just an interactive soap box. Considering how attractive the game looks, I’m inclined to wager they’re capable of the feat.